What’s Included In a Smile Makeover in East Islip? If you’re dissatisfied with the appearance of your teeth, it’s always on your mind. Whether your teeth are crooked or overlap, or perhaps you have staining and discoloration, these conditions may keep you from smiling and talking freely, which greatly affects your confidence. The good news is that cosmetic dentistry offers numerous solutions for improving your smile. 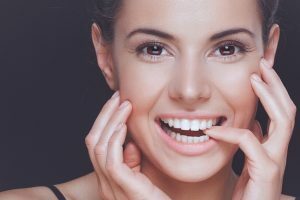 Your premiere dental team at East Islip Dental Care offers some information on what might be included in a smile makeover in East Islip. Did you know that one of the quickest and most cost effective ways to brighten your smile is to whiten your teeth? Whitening your teeth can remove stains and discolorations, leaving your smile many shades brighter. In-office whitening procedures done at your dental office can often be completed in only one appointment, giving you immediate results. At East Islip Dental Care, we offer both in-office whitening procedures, completed with the Boost In-Office system, or take-home trays that allow you to whiten at home at your leisure. Take home trays are custom designed to fit snugly over your teeth protecting your gum tissue from excess whitening gel. We sell replacement gel at our office so it’s convenient for you to update your smile at any time. Dental veneers are thin “shells” of porcelain designed to fit over your natural tooth structure. Veneers are great for repairing small chips, fractures, gaps, staining or discoloration. Veneers can be used to repair one or two teeth, or to enhance an entire smile. Because they’re bonded to your tooth they also add strength and function to your smile. Invisalign is a great way to discreetly straighten teeth that are crooked or overlap. Instead of using traditional metal braces, Invisalign uses clear plastic aligners that fit snugly over your teeth and gradually apply pressure to move your teeth. Your aligners are removable and because they’re clear, they’re virtually invisible. The snug fit allows you to smile and talk as you normally would, so no one will ever notice that you’re straightening your teeth. For those patients missing one or more of their teeth, we’re proud to offer dental implants. Boasting a 95% success rate, dental implants are by far the best replacement option available to our patients, and this is because both your tooth and your root are replaced. Your new root is a biocompatible titanium post that is surgically placed into your bone, which creates a stable foundation for your new tooth. After the appropriate amount of healing time has passed your new crown is placed, and your smile is restored. Your crown is made of high quality porcelain and custom designed to naturally complement your smile, so no one will ever know that you were missing a tooth. If you’ve considered making changes to your smile, the first place to start is a consultation with the highly skilled dental team at East Islip Dental Care. Our doctors will discuss your needs, goals and concerns for your smile and make recommendations as to which procedures will best meet your needs. Contact our office today to learn more. Comments Off on What’s Included In a Smile Makeover in East Islip?